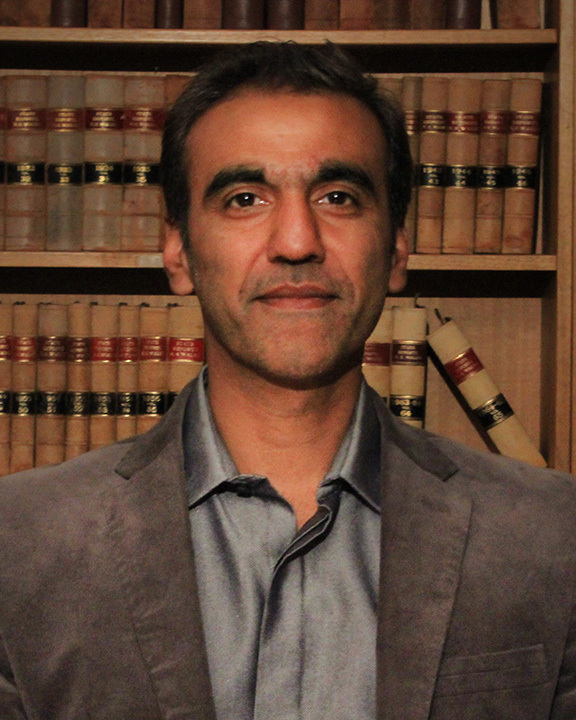 Moeen Cheema is a Senior Lecturer at the ANU College of Law and has considerable experience of research, teaching and consultancy in the fields of comparative public law, criminal law, and legal and political developments in South Asia. Moeen’s research is interdisciplinary and draws on critical approaches to law. He is especially interested in constitutional politics and judicial review; criminal justice systems; intersection of state and Islamic law; and post-disaster recovery and reconstruction. ANU College of Law Senior Lecturer Moeen Cheema has been granted an Australia Awards Fellowship to analyse the rule of law dimensions of the China-Pakistan Economic Corridor (CPEC). ANU College of Law lecturer Moeen Cheema has been granted an Australia Awards Fellowship to assist with reform of the criminal justice system in Pakistan. The Foreign Minister Julie Bishop announced the awards earlier this week. The China Pakistan Economic Corridor (CPEC) is the first and most significant stage of China’s ambitious ‘One Belt One Road’ program that is set to re-draw the political and economic geography of South and Central Asia. This fellowship program brought together Pakistani scholars working on diverse aspects of CPEC and its wider ramifications for the region. The program was designed to provide a platform to systematically engage with CPEC-related issues, and thereby develop a sustainable network of organizations that serve as a nodal point for continuing research and policy work. Australia Awards Fellowship 2016-17 on Promoting Criminal Justice Reform in Pakistan: This fellowship program brought together several organizations that are involved in litigation, research and public advocacy aimed at the reform of the criminal justice system in Pakistan. The program was designed to enhance the research, advocacy, public policy and law reform oriented skills of the fellows and the capacities of their organizations. The program also aimed to develop a sustainable network of partner organizations working on criminal justice research and reform in Pakistan. ANU College of Law Small Grants Scheme, 2014-2016: This grant funded research on cases of women convicted of narcotics offences in Pakistan's prisons. UNDP, Rule of Law Institutions in the Federally Administered Tribal Areas (FATA), 2018 – Conducted a political economy analysis of the formal and informal legal institutions in Pakistan’s tribal areas bordering Afghanistan with a view to developing the strategy for their prospective integration into the Pakistani state structure. Rule of Law Roadmap, Khyber Pakhtunkhwa, 2017 – Developed the ‘Rule of Law Roadmap for the Province of Khyber Pakhtunkhwa, Pakistan as part of the technical assistance provided by Adam Smith International (ASI) and the UK Department for International Development (DFID). The Roadmap lays out a 5-year strategy for the reform of the criminal justice system including the institutions of police, judiciary, prosecution, prisons, probation and parole. UNDP Evaluation of Judicial Trainings, Khyber Pakhtunkhwa Judicial Academy, Pakistan, 2016 – Conducted an evaluation of the curriculum, methodology and effectiveness of judicial trainings imparted by the KPJA with the support of the UNDP. UNDP Baseline Study on Rule of Law, Southern Districts of Khyber-Pakhtunkhwa, Pakistan, 2016 – Prepared a report for the UNDP Strengthening Rule of Law Program analysing the baseline data on public perception of and engagement with formal and informal justice sector institutions in the southern districts of Khyber-Pakhtunkhwa, Pakistan. Correctional Services Policy, Khyber-Pakhtunkhwa, Pakistan, 2016 – Advised Aitebaar Program, Coffey on an integrated correctional services policy in the province of Khyber-Pakhtunkhwa, Pakistan covering prisons, probation and parole. International Commission of Jurists Report on Corpus Delicti, 2009 – Advised the ICJ on the possibilities of prosecution of murder based solely on circumstantial evidence in cases of enforced disappearance. The report included a comparative analysis of relevant criminal law in a number of jurisdictions as well as of the jurisprudence of international tribunals. USAID Rule of Law Assessment in Pakistan, 2008 – Advised USAID team on the historical contexts of Pakistan's legal system and authored part of the Report. The report is available online at http://pdf.usaid.gov/pdf_docs/PNADO130.pdf. UN-Habitat Consultancy Project, 2006- 2007 – Advised UN-Habitat on land rights issues and compensation-related grievances in the areas of northern Pakistan affected by the earthquake of October 2005. Relief and Information Systems for Earthquakes Pakistan (RISEPAK) – Led teams of students and researchers affiliated with RISEPAK based at the Lahore University of Management Sciences (LUMS), Pakistan, in research and date collection on post-earthquake rehabilitation and reconstruction compensation scheme.